Wish Upon a Jackpot Slots | FREE Spins & Extra Wilds! 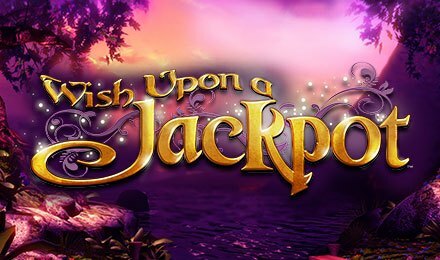 Wish Upon a Jackpot Slots is a magical online slot game that is sure to put a smile on your face – and not just because of the enchanting bonuses! Wish Upon a Jackpot Slots is simply charming! It has a nostalgic fairy tale theme, 5 reels and 20 paylines, and all of your beloved characters who each have a special bonus just for you. Rapunzel has FREE Spins, Rumpelstiltskin is offering you an unbeatable deal, the Three Little Pigs have extra Wilds for you, and Jack and the Beanstalk can grant you up to 1,000x multiplier. Plus, your Fairy Godmother adds to that guaranteed wins and special Wilds.